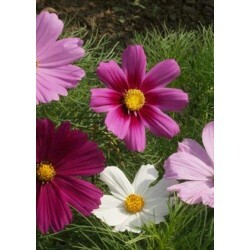 Cosmos is a 4' to 6' tall annual introduced from Mexico. 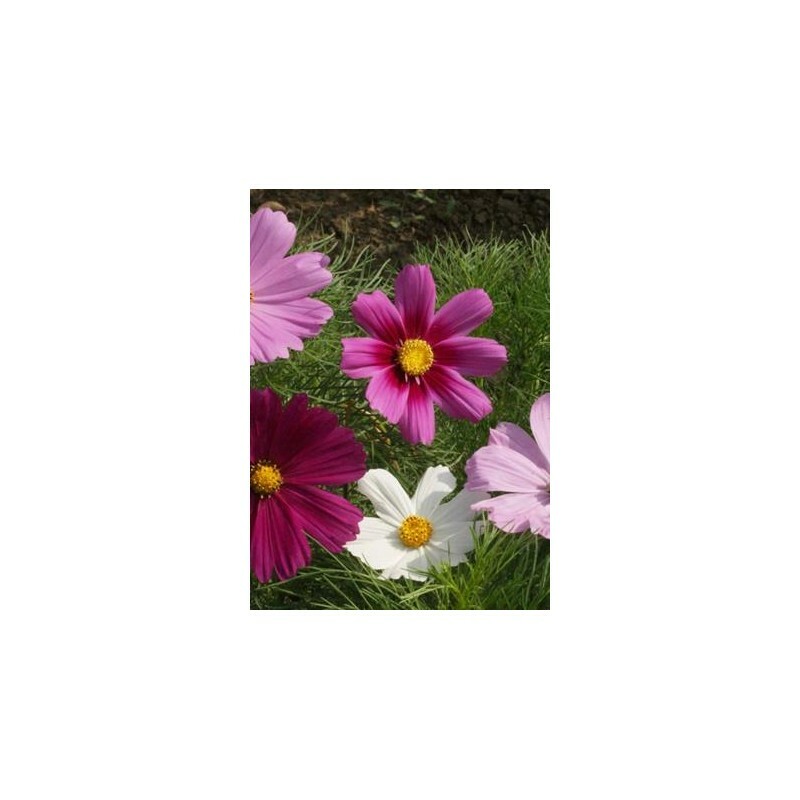 It has become a garden favorite due to its ease of establishment, minimum maintenance, tolerance for poor soils, minimum water needs, profuse flowers, and rapid space filling growth. 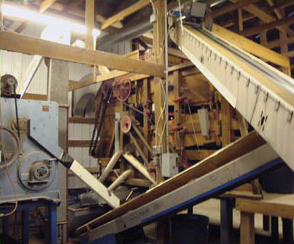 Plants grown in rich soils may require staking. 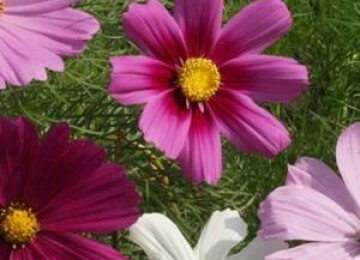 Cosmos flowers from mid-summer until late fall and easily self-seeds.